To free FuelCell Energy from the shackles of “penny stock life,” the company based in Danbury, Connecticut, took the radical step of merging its shares (reversal stock split) at a ratio of 12:1, effective from Dec. 4, 2015 (see graph). Considering the organization’s more than 300 million outstanding shares (more to say, 475 million fully diluted ones, and 40 million after the split), this move was to be expected: The company was running the risk of being dropped from Nasdaq, as the bid price had been below the important US$ 1.00 requirement for some time now. The process usually results in shares trading lower right after the split, but it is still the right thing to do to make them more attractive to institutional investors. Indeed, it is only “cosmetic surgery,” with no impact on the business itself. The more important news are the large-scale orders that FuelCell Energy has been able to secure one after another. The company’s production currently adds up to 70 MW worth of energy per year. From 90 MW on, the business model would be profitable – in my opinion, it will only be a matter of time until FuelCell Energy can break even, as it has already proven how to successfully turn fuel cell ideas into concrete large-scale projects. The publication of the fourth-quarter figures on Oct. 31, 2015, show: Backlog has reached US$ 381 million. The forecast is an annual installation of 100 MW of new systems. FuelCell Energy has bid for multiple project contracts (around the globe). Their combined value is projected at up to US$ 2 billion. The company has also announced that it had received an additional US$ 30 million in funds from PNC Energy Capital. This means that cash reserves are now at US$ 85.7 million plus the US$ 36 million from the line of credit granted by shareholder NRG Energy. On an important side note: FuelCell Energy designs large turnkey systems, provides the capital required for them and sells them at a later date or agrees to contracting models, i.e., long-term supplier contracts for power and heat. Taxation issues are taken into account as well, as the sale of electricity allows for higher profit margins than the one-time sale of a plant. Additionally, FuelCell Energy sees growing interest in know-how and technologies thanks to the Conference on Climate Change in Paris. All in all, these are good reasons to assume that the current stock price low won’t be permanent – despite the fact that the most recent figures were admittedly disappointing. January 2016 should get us an important decision on the large Beacon Falls project (63 MW). 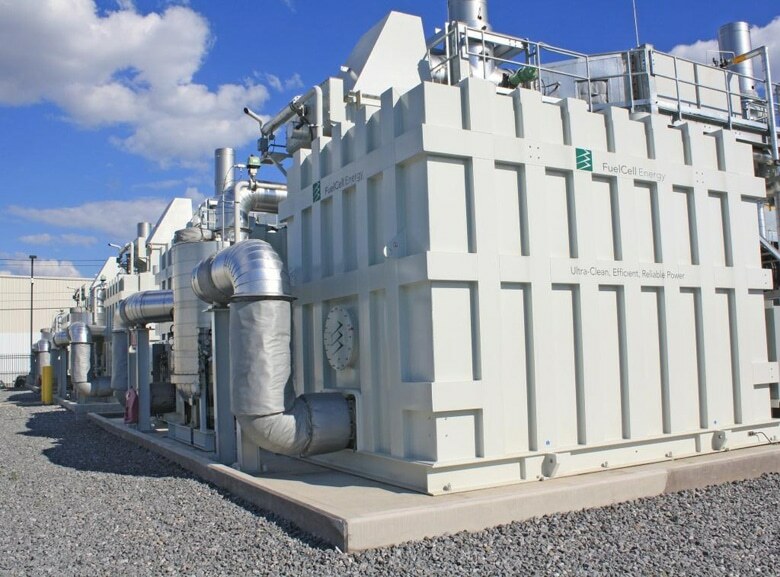 FuelCell Energy expects to be among the favored bidders. Order placement is scheduled for the first half of this year.